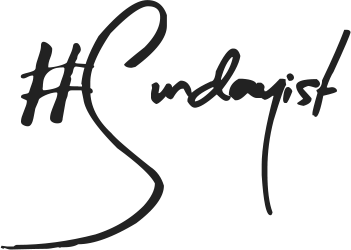 Now that Autumn is fully in swing (yay) you may be on the look out for more Autumnal shades - perhaps something a little warmer and deeper in tone to coincide with the darker days and nights? 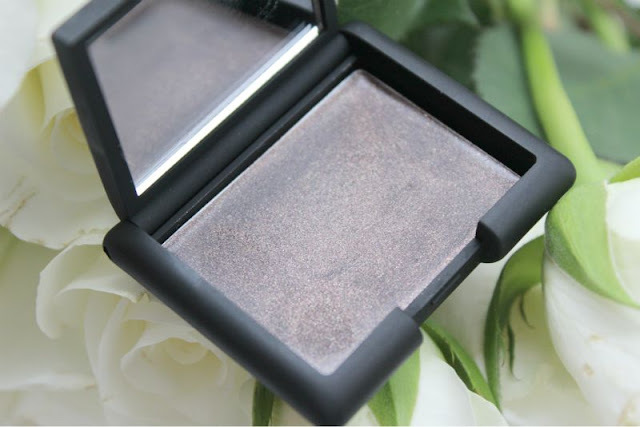 If like myself you like a great formula coupled with ease then read on to find out more about my current dark eyeshadow of choice. I don't want to dwell too much on the packaging of NARS Ponderosa Cream Eyeshadow as by now most will know the drill - a rubberised black case which does look sleek but let me tell you it is the devil when it comes to collecting dirt and fingerprints. The devil! 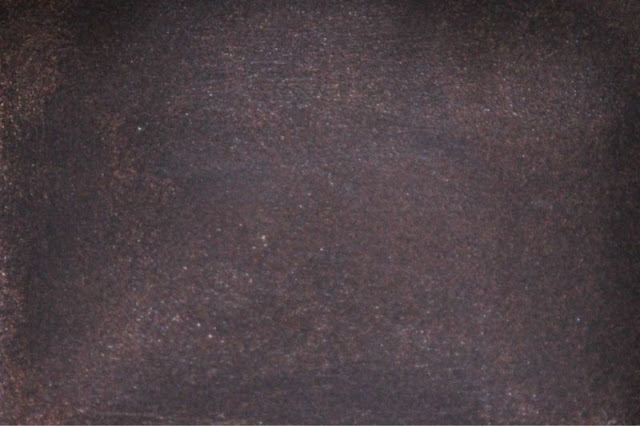 NARS Ponderosa is listed as a "mink" shade but to elaborate it is a deep cool toned almost black chocolate brown base that leans towards the purple side of things and is coupled with lots of tiny flecks of silver glitter particles. 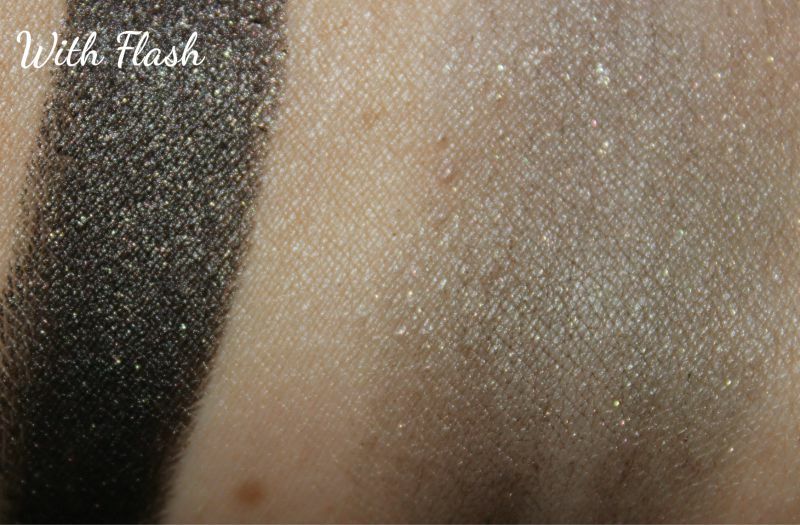 The glitter is so minute that you do really have to look up close to notice it and as it is so fine you can not feel at all on the skin. Rather than give an all out glitter effect the look is subtle but with a little more dimension than a flat matte shade. It truly is a stunning hue. 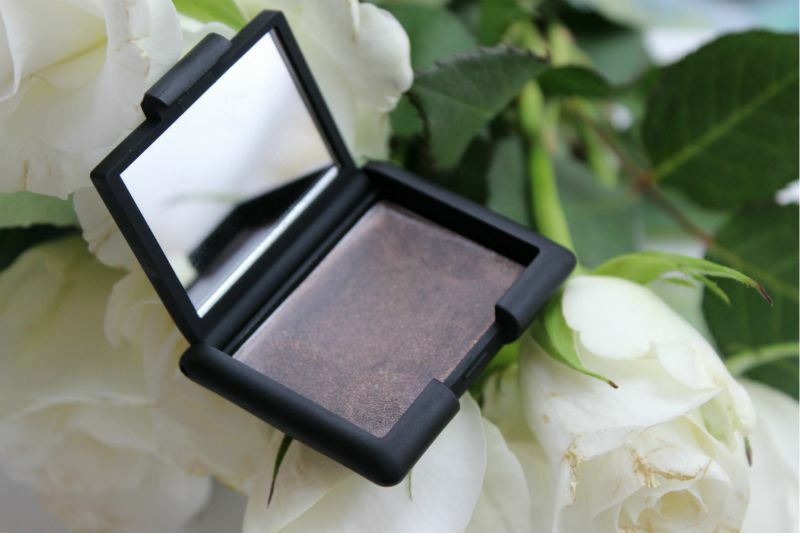 The consistency of NARS Ponderosa Cream Eyeshadow is extremely creamy and as a result it glides on to the skin with such ease that there really isn't any need to use a brush - in-fact for a smoky smudged out look I wouldn't recommend a brush over your fingertips. Ponderosa is fairly pigmented but for full coverage I do recommend applying it layers rather than applying one thick coat but if a sheer look is more your thing you will be pleased to know this blends out well too. 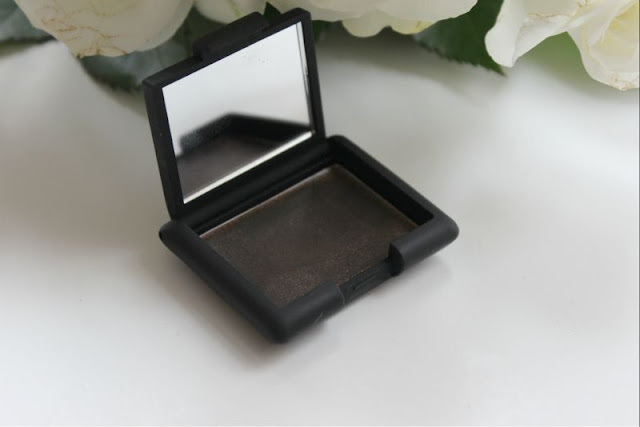 NARS claim that this eyeshadow can be worn on it's own (without a primer or shadow on top) but I can't say I recommend that as without a primer I found it to crease and pull into the creases of my eyes around the hour mark. 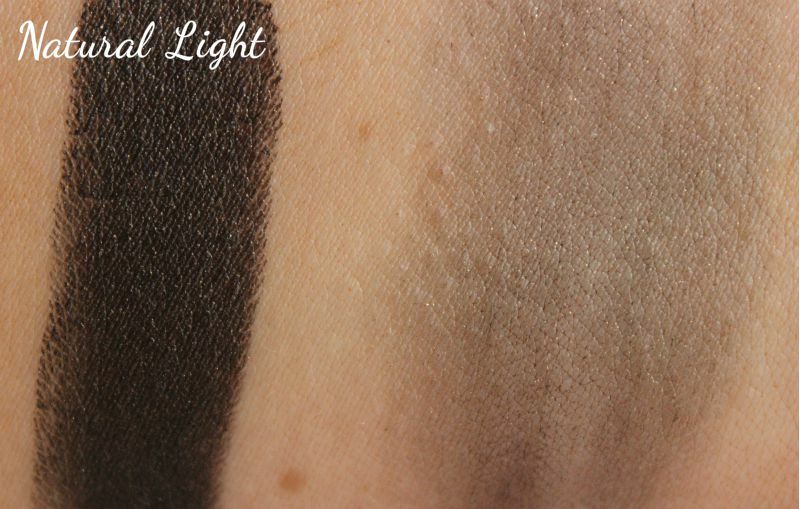 Yet teamed with a primer it wore for around four hours before such tell tale signs set in. For the best chances of prolonged wear (especially if you have oily lids) I highly suggest teaming this with both a primer and a powder of some sort be it a similar shade of eyeshadow (NARS Galapagos is a good call) or a light dusting of translucent powder to keep things in place. 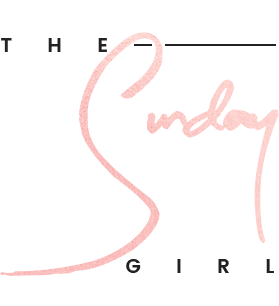 As a final note yes this is a cream based product and normally I would suggest using this as a liner but with this formula due to the slip factor I can't say I recommend doing this...unless smudged eye make-up is your thing. That's a really interesting shade, it looks lovely! Oooooh, this looks very very pretty!! Just my kind of colour!! Love!! Autumn isn't fully in swing until the Autumn equinox! I am not feeling this product though. Maybe if it was in powder form and not cream. 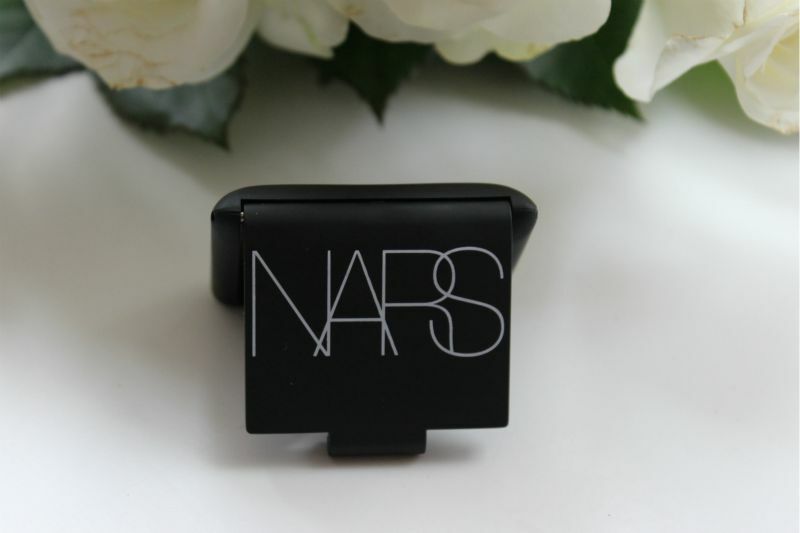 I really want to get my hands on a NARS eyeshadow duo! Not sure about this shade though! 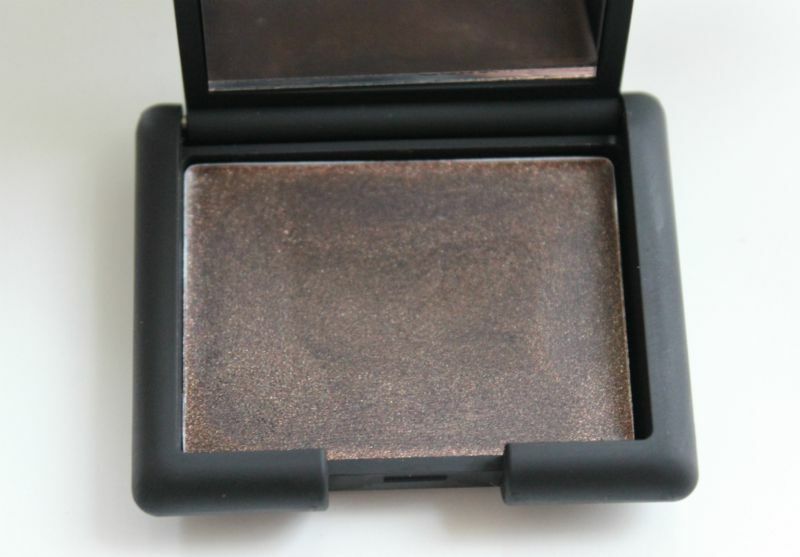 Nars eyeshadows always look amazing! I love these dark shades, they'd be perfect for AW13. Definitely went be getting this - it sounds awful in terms of creasing! 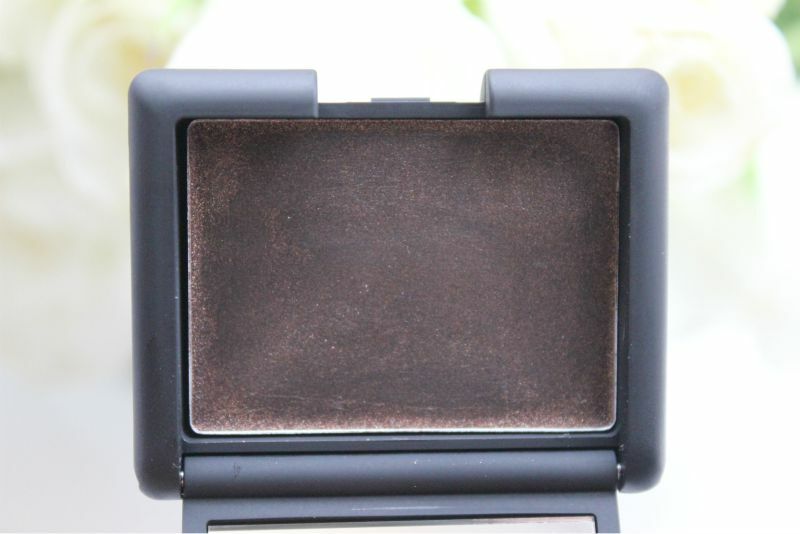 It is a lovely shade but due to having such oily eyelids I'll have to pass - my color tattoo lasts longer than 4 hours!